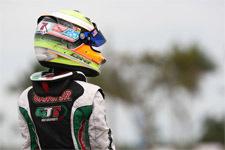 GT7 Motorsports team driver Dylan Tavella is set to continue his winning ways this week. 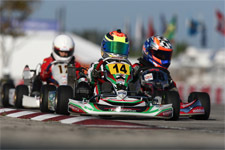 Scoring win after win in the past few months, Tavella will look to top it off with the 2012 Rotax Max Challenge United States Grand Nationals Micro Max title. Descending upon the Jet Karting of Michiana Raceway Park (MRP) facility this week for the premier US Rotax event, Tavella will certainly be one of the favorites this week to take the title. 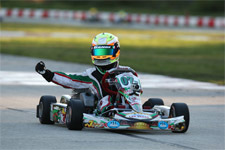 Scoring six wins in six starts in his Rotax Northeast Region, Tavella has been busy tearing up the Micro Max ranks. 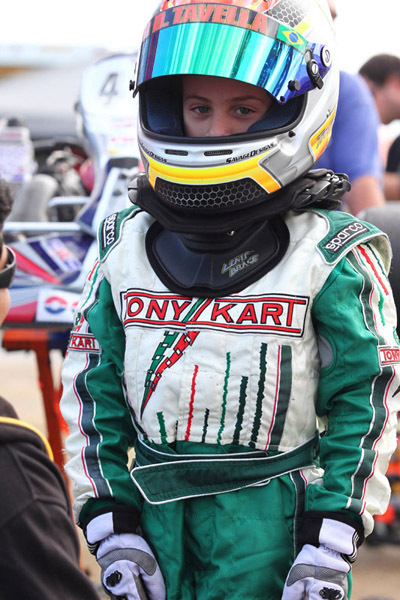 Also earning a significant win at the Rotax Summer Shootout, held at the same MRP facility in early July as the gear-up event before the Nationals, Tavella will definitely be one to watch once karts hit the track. 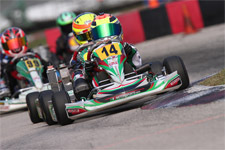 His first attempt at the US Rotax Nationals saw the talent take an impressive tenth place finish in the final in 2011, quite the feat for a rookie driver. 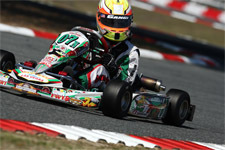 Now in just his second season on the national karting scene, Tavella has been impressive all year long. 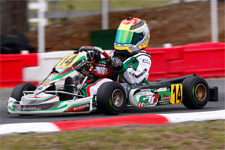 Looking to culminate his Rotax Max season with the ultimate title, Tavella is primed and ready to do just that come the main event. Before Saturday's main event, Tavella has already taken to the track Monday and Tuesday of this week for unofficial event practice. Tavella and his coach Bob Radivoy, along with the entire GT7 Motorsports crew, utilized the unofficial practice sessions to tune their TonyKart machines in preparation for wheel-to-wheel action. Official practice was completed yesterday, Wednesday, August 8 with today featuring the all-important qualifying. Tavella will also see the first wheel-to-wheel action Thursday for heat one, with heats two and three set for Friday. Saturday, August 11 will see Tavella take on the prefinal before the main event to decide the 2012 US Grand National Champions. To keep tabs on Tavella, friends, family and fans can tune into www.kartracingnetwork.com which will feature a live video broadcast as well as timing and scoring.